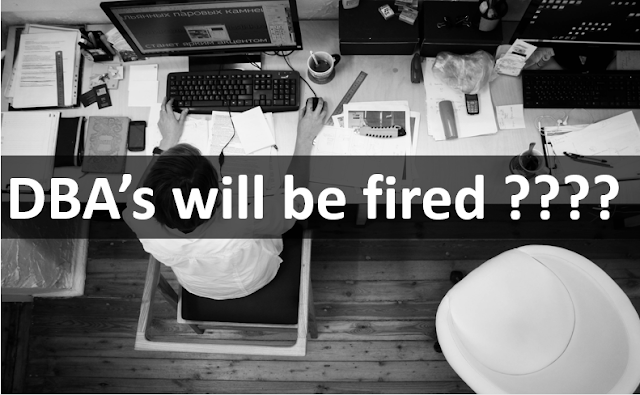 It is important to note that just because you will be moving to the cloud, it is not to say that the DBA you have in-house will be abdicating his or her responsibilities. There are duties and tasks that will change once the shift to the cloud occurs, but your DBA will still have a very valuable role to play in your organization. One of those roles is to act as a liaison between your company and the remote DBA since he has more knowledge of the inner workings of your enterprise and can offer valuable information that will then be used in the provision of quality services to you. With a better understanding of your needs, you can expect a better service from your cloud vendor. 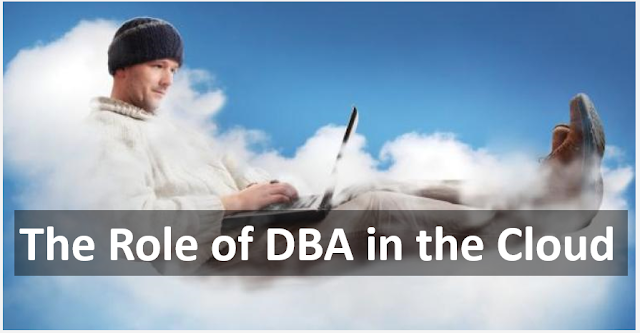 Here we have mentioned some of the important tasks or skills which required as Cloud DBA apart from traditional DBA skills. Design & Specifications of Database i.e. CPU, Memory, Disk Space, Future Growth, High Availability & Disaster Recovery (Yes even in Cloud, you have to consider HA & DR). Oracle announced the next-generation Oracle Exadata X7 with significant hardware and software enhancements in overall performance, storage capacity, network bandwidth, and automation. 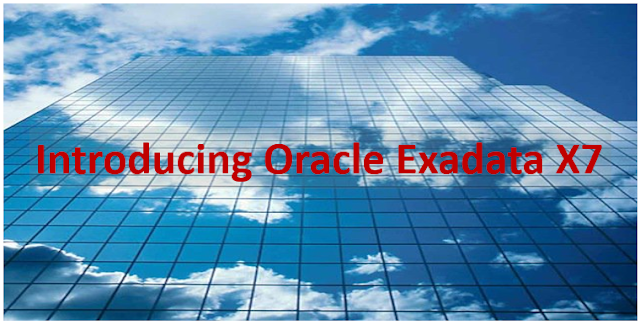 Oracle Exadata is an Engineered System designed to be the ideal platform for all database workloads. It features scale-out, database optimized compute, InfiniBand networking, and smart storage for fastest performance and low costs. Specialized algorithms vastly accelerate all types of database processing including OLTP, Analytics, and Consolidation. Exadata’s full-stack automation and optimization of all components slashes the need for skilled human labor, enabling reduced costs and improved reliability. Exadata’s simplicity, scalability, and reliability make it the foundation for the recently announced Oracle Autonomous Database Cloud. Oracle introduces the world's first autonomous database cloud. Oracle Autonomous Database Cloud eliminates complexity, human error, and manual management, helping to ensure higher reliability, security, and more operational efficiency at the lowest cost. Copied well written article by Joel Peréz and Skant Gupta regarding Oracle 18c from Oracle community which will definitely help to DBAs who are worrying about future. Below is the full article. Oracle Exadata Cloud Machine delivers the full power of the Oracle Exadata Cloud Service that resides in Oracle's public cloud to customers who require or prefer their databases to be located on-premises. For many years, Oracle Exadata has been the platform of choice for running mission critical Oracle databases at thousands of customers, and the Oracle Exadata Cloud Machine extends this value proposition to those customers who want cloud benefits but cannot or aren't yet ready to move to a public cloud. The business model is just like a public cloud subscription; the hardware and software is the same; Oracle experts monitor and manage the infrastructure; and the same tools used in Oracle's public cloud are used to provision resources on the Cloud Machine. 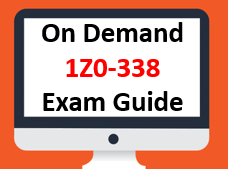 Operating system performance issues commonly involve process management, memory management, scheduling and storage management. Many times we get into the performance issue if we don't follow the common Oracle best practice like system parameters, improper swap allocation, hard/soft limit, not configuring hugepages wherever it requires. If you have tuned the Oracle database instance and still need to improve performance, tune the OS, network and storage part. "STAY MILES AHEAD OF YOUR COMPETITION IN CHANGING IT WORLD"
Well, here we have given some of the basic statistics management which can help to boost the performance in your environment. This post is about the top facts about Oracle Exadata Cloud Machine from technical and business perspective. 1. On-premise licenses cannot be transferred to ExaCM. 2. The minimum commitment to both the ExaCM and OCM is 4 years and the minimum configuration is Eighth Rack. 3. The subscription price for Oracle Database Exadata Cloud Machine X6 Eighth Rack is $40,000 per month (= $2,500 X 16) and that includes all DB options/features, Exadata Software and OEM DB Packs. 4. Standalone products such as Oracle Secure Backup and Oracle GoldenGate are not included in the ExaCM subscription. Only the database options (such as RAC, In-Memory, Partitioning, Active Data Guard, etc. ), the database OEM packs and the Exadata storage server software are included. 5. ExaCM requires Oracle Cloud Machine to deploy Exadata Cloud Control Plane (separate subscription). OCM subscription requires similar minimum term commitment as ExaCM. 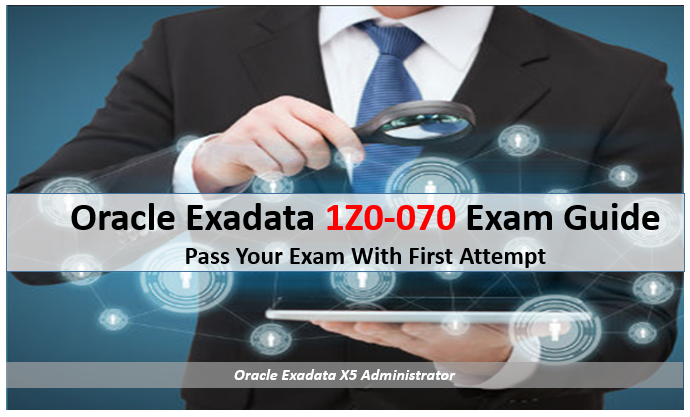 If a customer already has an OCM, that can be leveraged to deploy Exadata Control Plane at no extra cost. One OCM Model 288 can manage 6 ExaCM Full Racks (i.e. 24 ExaCM Quarter Racks or 12 ExaCM Half Racks). Theoretically one OCM can support a much larger number of ExaCM full racks: about 50. 6. The 1/8th rack SKU is very similar to the on-premises 1/8th rack – i.e. minimum configuration of 16 OCPUs (cores), 240 GB RAM per database server, 144 TB raw storage (42 TB usable), 19.2TB of Flash. Compared to the Quarter Rack, it ships with less RAM, disk storage and flash. Those will be field installed if the customer chooses to go for the 1/8th to Quarter Rack upgrade. Note that this 1/8th rack enables customers to have an entry level configuration that is similar to what exists in Exadata Cloud Service. 7. Hourly Online Compute Bursting is supported with ExaCM. 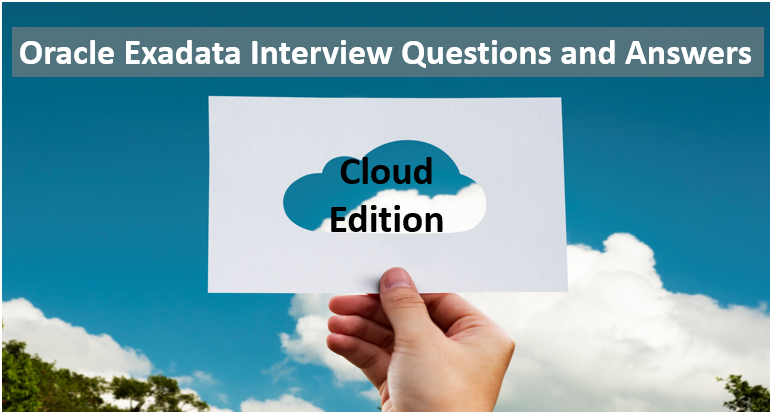 The commercial terms are the same as in Exadata Cloud Service – i.e. 25% premium over the Metered rate, calculated on an hourly basis. 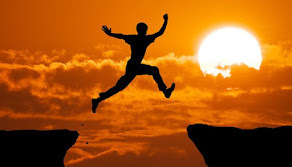 Customers can scale up or down, dynamically. Bursting does not kick in automatically based on load. Bursting of OCPUs needs to be configured by customers as needed. Once customer initiates bursting, the OCPU update is done dynamically without downtime. Customers will be billed later on the hours of bursting usage. Price: $8.401 per OCPU per hour. 8. If Cloud Control Plane is down, it doesn’t affect the availability of steady state runtime operations. However, cloud-based management (e.g. selfservice UI and REST API access) will be impacted. 9. Access: the Exadata Cloud Machine compute nodes are each configured with a Virtual Machine (VM). 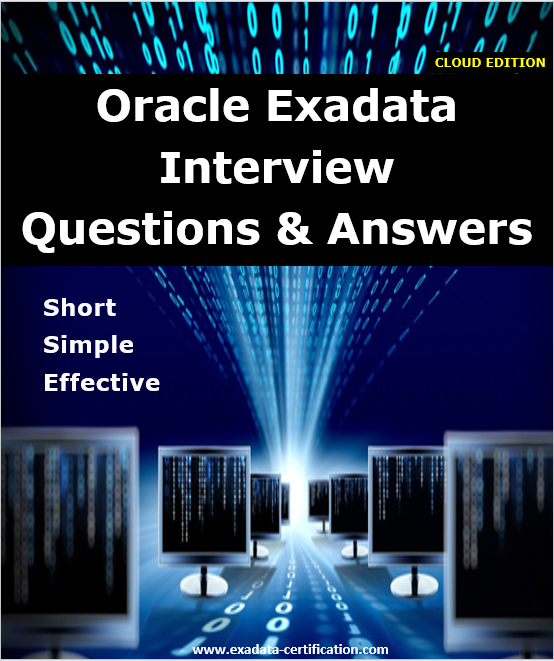 You have root privilege for the Exadata compute node VMs, so you can load and run additional software on the Exadata compute nodes. However, you do not have administrative access to the Exadata infrastructure components, including the physical compute node hardware, network switches, power distribution units (PDUs), integrated lights-out management (ILOM) interfaces, or the Exadata Storage Servers, which are all administered by Oracle. – Remote Storage Only: uses remote NFS storage to store periodic full (RMAN level 0) backups and daily incremental backups, with a seven day cycle between full backups and an overall retention period of thirty days. – None: no automatic backups are configured. Automatic backups cannot be configured later if you select the None option when you create a database deployment. 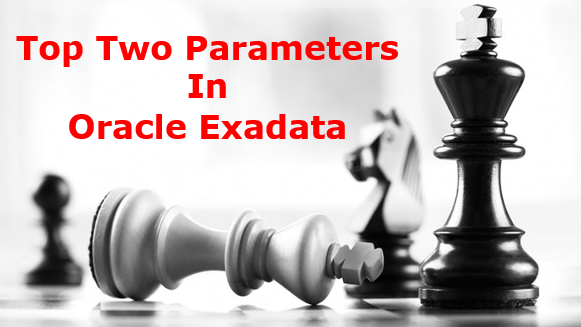 You must have question in your mind that why only two parameters as there are n number of parameters related Exadata and all have it's own importance. 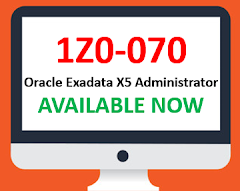 Well, we have choose these two because exadata performance more over dependent on these parameters and major two functionality works on these parameters. - There is not much you can do to control storage index behavior. However, the developers have built in a few hidden parameters that provide some flexibility. 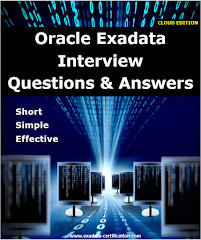 - Above parameter is one of them to control the storage index functionality on exadata. - This is undocumented and hidden parameter which is used to control the storage index function. It is highly recommended to check with the Oracle support before using it. - This parameter tells oracle storage if storage index need to be used while performing query execution. - It is used to enable and disable the usage of storage index when exadata is used for the database. - By default it is FLASE means storage index is enabled. If you need to disable the usage of storage index than make the value of this parameter TRUE. You can also test this on session level. 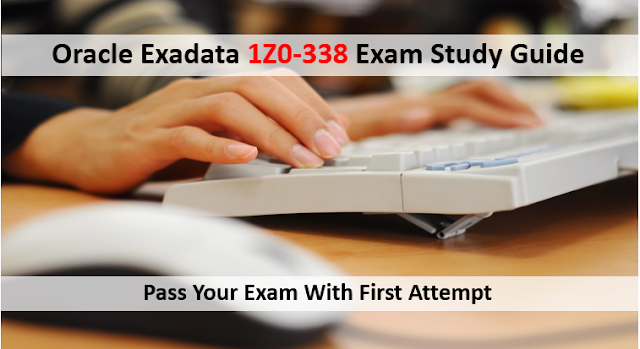 - Second parameter is related to the smart scan function of exadata. There are several parameters that apply to offloading. - The main one is CELL_OFFLOAD_PROCESSING, which turns offloading on and off. - By default the value of this parameter is TRUE which means smart scan is enabled. In case if you want to test measure the performance of database using or without smart scan , you can use this parameter. - If it is disabled, it means that predicate filtering and storage indexes cannot be used to cut down the volume of data. This parameter also can be tested on session level. 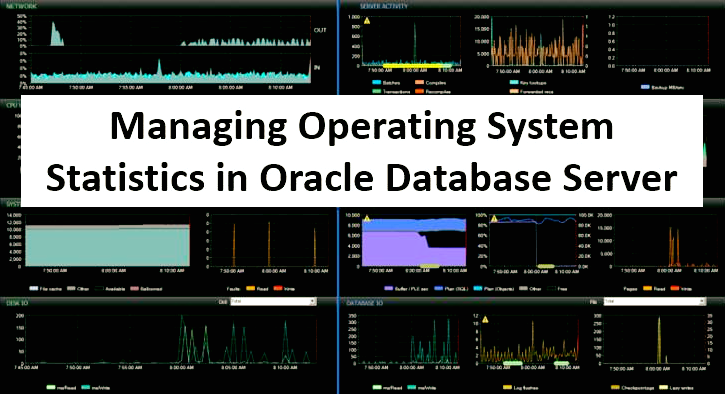 There are multiple ways, utilities or commands to monitor Exadata machine. Here we have mentioned the list of dcli commands which can help to get the list of cell alerts, resource consumption details and configuration details in shortest time. dcli -l root -g ~/cell_group "cellcli -e list metriccurrent where alertState!=\'Normal\'"
dcli -l root -g ~/cell_group "cellcli -e list metriccurrent CL_CPUT"
dcli -l root -g ~/cell_group "cellcli -e list physicaldisk attributes name, id, slotnumber where disktype=\"flashdisk\" and status=\'not present\'"
dcli -l root -g ~/cell_group "cellcli -e list metrichistory where alertState!=\'Normal\'"
dcli -l root -g ~/cell_group "cellcli -e list physicaldisk attributes name, id, slotnumber where disktype=\"harddisk\" and status=\'not present\'"
dcli -l root -g ~/cell_group --vmstat="-a 3 2"
You can follow our Oracle Exadata Exam Certification Materials to achieve the maximum success in your Oracle Exadata Certification Exam.